Forming a crucial component of the Samarrah Offensive, the seizure of Falluja today ensures that ‘Sir’ Frederick Stanley Maude’s Anglo-Indian force will not have to cope with flooding of the Euphrates plains during their advance further north from Baghdad. Falluja, to the west of Baghdad, forms a flood-control area around the Euphrates River. Garrisoned only by a small force it is easily seized by a British brigade today. During bombing practice a live bomb thrown by one of the party fails to clear the parapet and falls back into the bombing pit. Second Lieutenant Ian Forbes Clark Badenoch (Royal Fusiliers) at once rushes to pick up the bomb and throw it out of the pit. He collides with the man who has thrown the bomb but persists in the attempt and is in the act of throwing the bomb when it explodes mortally wounding him. For his actions he will be awarded the Albert Medal posthumously. Captain Eldred Wolferstan Bowyer-Bower age 22 (East Surrey Regiment attached Royal Flying Corps) and Second Lieutenant Eric Elgey age 25 (Royal Field Artillery attached Royal Flying Corps) are both killed in action when their RE8 is shot down over St Leger by Werner Voss. The RE8 falls some six miles behind German lines near Croisilles. Some weeks later, as the Germans fall back into the Hindenburg Line, a party of Royal Engineers will be in the vanguard of the British advance over the relinquished ground. By an amazing coincidence, the detachment is under the command of Captain Thomas Bowyer-Bower, Elred’s father. Bowyer-Bower has, of course, already learned of his son’s death and is even roughly aware of the vicinity of the crash. One day his men come across a grave marked with a cross made from pieces of a wrecked aircraft. Someone had carefully marked the cross in pencil, “Two unknown captains of the Flying Corps”. When the grave is opened the father is able to identify the son. 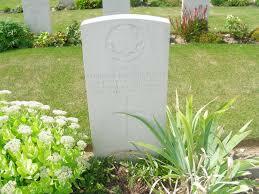 Captain Bowyer-Bower is the grandson of Major General Henry Bower. Trooper Douglas Carrington (Australian Light Horse) is killed in Gaza becoming the first of three brothers who will lose their lives in the Great War.